The hanging of Abdul Quader Molla, a top Islamist leader of Bangladesh, by government clearly allows everyone to make believe that ruling Awami League do not care about law, rights, procedure, standard, neutrality, transparency, accountability and overall judiciary. Not even they can feel ‘political pulse’ of the people, they just dare to perform ‘autocracy’ in the label of democracy by empowering, utilizing and bounding Judiciary to be continued ‘judicial tyranny’ over its own citizen. Molla perhaps didn’t mind even to be hanged as his ideological believe ensures him as ‘shaheed’ that is the ultimate desire of a Muslim and of course most important reward from almighty Allah. But no doubt, Molla’s execution is one of the most significant issues in the history of Bangladesh and Islamic movement across the world. A scrutiny over Molla’s trial hearing, witness, conviction of life imprisonment by Tribunal, retrospective effect of criminal law even after trial ends, appeal, death sentence by highest court, warrant of execution, review and finally the execution-all showed that it was a designed play that exhibited to divide Bangladesh politically and to perform political agenda of Awami League. The list of defects is huge. Let us analyze only those that directly hampered fair trial. 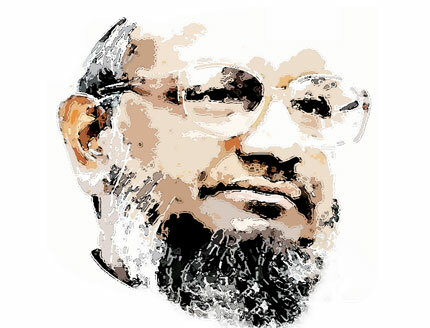 On February 5, 2013, Tribunal-2 found Abdul Quader Molla guilty of the offences of ‘crimes against humanity’ enumerated in section 3(2) of the International Crimes (Tribunals) Act, 1973 as listed in charge no 1, 2, 3, 5 and 6 and he be convicted and condemned to a single sentence of ‘imprisonment for life’ for charge no. 5 and 6 And also for the crimes as listed in charge nos. 1, 2 and 3 to a single sentence of ‘imprisonment for fifteen (15) years’ under section 20(2) of the Act of 1973. Molla is however found not guilty of offence of crimes against humanity as listed in charge no.4 and he be acquitted thereof. At the very time, Shahbag (we already are known) happened and forced government to amend retrospective laws of 1973 allowing increasing sentence and apply those retrospective amended laws after the punishment. On appeal, the apex court of Bangladesh just reflected the ‘death demand’ of Shahbag in any means. The Appellate Division of the Supreme Court sentenced Molla to death on 17 September 2013 with 4:1 verdict. The highest court issued ‘Order of Execution’ on December 8, 2013 ordered him to be executed through a questionable legal process and in violation of national and international standard and human rights laws. Here go some damning arguments proving why the sentence by the Bangladeshi court is in and of itself fundamentally flawed. The death sentence against Mr. Mollah was handed down based on retroactively amended legislation. All national and international legal instruments including The International Covenant on Civil and Political Rights (ICCPR), to which Bangladesh is a state party, prohibit the retrospective application of criminal law; and as such ex-post facto legislation is not valid in Bangladesh itself and clearly violates international fair trial standards. International rights body Human Rights Watch says, the amendments are a clear violation of the International Covenant on Civil and Political Rights (ICCPR), to which Bangladesh is a state party. Article 14 of the ICCPR states that “no one shall be liable to be tried or punished again for an offence for which he has already been finally convicted or acquitted in accordance with the law and penal procedure of each country.” The prohibition on retroactive penalties is one of the fundamental protections of the rights of the accused in both international law, and for that matter in Bangladeshi law as well. Without this protection, governments would simply keep amending laws whenever faced with a verdict they didn’t like. An amendment to the Bangladeshi constitution which strips those accused of war crimes of certain fundamental rights should be repealed to ensure equality and due process of law. International Commission of Jurists said that the death sentence handed down today by Bangladesh’s Supreme Court against Abdul Quader Mollah is incompatible with international principles of fair trial. If carried out, the sentence would violate his right to life and freedom from cruel, inhuman, or degrading punishment. The prosecution’s appeal to impose the death sentence on Abdul Quader Mollah was based on a law that was not in force when he was first convicted and applying that law retroactively, especially for the death penalty, violates international law. Judgments such as these highlight the serious problems with the war crimes tribunal that undermine its legitimacy. The wounds of war can only be healed through a fair and transparent trial process that meets international standards of fair trial and due process of law. One may question, what is wrong with it, as long as it serves a noble purpose – namely bringing the perpetrators of 1971 to justice. Well, first of all, the perpetrators of 1971 is a long story that is beyond our scope here; but suffice it to say, the whole International Crimes Tribunal (ICT) fiasco is far from bringing the perpetrators of 1971 to justice. More importantly, the end cannot justify the means in a legal context; and the practice of retrospective legislation can end up in very murky waters. For example, suppose a staunchly anti-shahbag government comes to power with two-third majority in the future, and passes a retroactive legislation making all activities related to the shahbag protest tantamount to treason! Then there would be no legal barrier to executing all those involved in shahbag movement. No Appeal lies against the death penalty of Molla? Death is the highest punishment that can be awarded by a Bangladeshi court. However, this highest sentence is awarded and executed after maintaining all cautions and fulfilling every legal formalities and procedures. According to section 31 of the Criminal Procedure Code (CrPC), No court can sentence anyone to death unless it be a Court of Sessions or Additional Sessions or High Court Division. If any sentence of death is passed by the Court of Sessions or Court of Additional Sessions, that shall be subjected to confirmation by the High Court Division (HCD). Under article 103 of the Constitution, where HCD has confirmed a sentence of death or sentenced a person to death, an appeal to the Appellate Division of the Supreme Court lies against that ‘as of right’. That means any person sentenced to death penalty shall have a right to appeal against that. Abdul Quader Molla has sentenced to death by the highest court of the country; and didn’t get any chance to appeal against that sentence! Amnesty International urges the imposition of the death sentence without the possibility of appeal is incompatible with Bangladesh’s obligations under international human rights law. Imposing a death sentence without the right of judicial appeal defies human rights law. There is no question that the victims of Bangladesh’s independence war deserve justice, but one human rights violation does not cancel out another. Executions are a symptom of a culture of violence rather than a solution to it. This is the first known case of a prisoner sentenced to death directly by the highest court in Bangladesh. It is also the first known death sentence in Bangladesh with no right of appeal. In all the cases so far tried before the two tribunals, the judges have not restricted the prosecution in the number of witnesses it can bring to court, but at the same time have limited the number allowed by the defence – in some cases very severely considering the number of offences charged. This restriction is significant as the most obvious characteristic of a fair trial is allowing an accused person to present his or her case – and limiting witnesses inevitably precludes the ability of the accused to do just that. So what reasons have the tribunals given for restriction, and are they justified, particularly since the International Crimes (tribunal) Act 1973 states that an accused person has ‘the right to present evidence at the trial in support of his defence …’? In the trial, the prosecution brought 12 witnesses to the tribunal in support of six charges against Molla. After all these witnesses had deposed, the prosecution lawyers filed an application asking the tribunal to limit the number of defence witnesses ‘to 3 or 4’ which it was argued would be sufficient for the accused to prove his defence of ‘alibi’ (i.e, the claim that the accused was not present at the time the offence was committed.) the defence team originally listed 965 witnesses. In its order given on 5 November 2012, the tribunal initially limited the defence to four witnesses, but – following further urging by the defence lawyers – the number was increased to five and then to six. Tribunal argues, ‘In a criminal trial, defence may examine witnesses in support of his defence and not to disprove prosecution case… [W]e are constrained to reiterate that the defence is to prove nothing and the burden squarely lies upon the prosecution to prove the charges beyond reasonable doubt.’ However, these arguments are problematic on a number of counts. First, one has to ask whether it is the job of the tribunal to decide what is – or what will or should be – the nature of the defence’s legal strategy? This is for the defence to decide, not the tribunal. This decision was made before the accused has even started presenting his case, and without the tribunal has seen any information on the likely testimony of the proposed defence witnesses. Secondly, even if the tribunal happened to be correct that Molla’s lawyers only wanted to bring Alibi witnesses (in fact at least one of the witnesses Molla called was not an alibi witness) how could the tribunal, before it had heard any defence witnesses, be in a position to state that six witnesses would be sufficient? It was of course reasonable for the tribunal to say that 965 alibi witnesses was way over the top. But if Molla needed 2 or 3 witnesses to ‘prove’ his alibi for each of the six different offences which took place on six different dates – each of which, one should remember, had the potential of a death sentence – it is difficult to see why the tribunal would not be willing to allow that. Thirdly, and most significantly, the tribunal surely cannot be right to assert that the defence can only bring witnesses to prove an alibi defence – and not to prove in other ways that the prosecution case was wrong. The appellate division has increased Molla’s convictions, and so one assumes that the highest court in Bangladesh did not feel that the restriction on the number of defence witnesses precluded a fair trial. The sole witness in the 1971 war crimes case where the Appellate Division ruled that Jamaat leader Quader Molla should receive the death penalty had given two previous accounts in which she did not mention Molla’s presence at the scene of her family’s murder. In one of the accounts, given in September 2007 to a Liberation War Museum researcher, Momena Begum even told the interviewer that she had not been present when her family was massacred, having left the area two days before it happened. In the second account, given in July 2010 to a tribunal investigation officer, Momena, who was 13 years old in 1971, stated that the men who entered her family house ‘were Biharis’ and Pakistani soldiers. There was no mention of the presence of any Bengali. Both of Momena’s previous accounts were inconsistent with the oral evidence she subsequently gave in the court — the only evidence that the prosecution adduced in support of its allegation — in which she placed Molla at the scene of her family’s massacre more than 40 years ago. In January 2013, at the time of closing arguments, the defence requested that the tribunal obtain the original document from the museum. The tribunal rejected the request. The second inconsistent account given by Momena was to Mohana Begum, the deputy investigating officer assigned to investigate the case against Molla. Whilst in this statement, Momena said that on March 26, 1971, she was in the house when her family was killed, there is, again, no mention of Molla’s presence. In its cross-examination of Momena in July 2012, the defence failed to ask about her previous statement to the investigation officer. In November, the lawyers made an application to the tribunal requesting that the witness return to court so they could do so. The tribunal rejected the application. Surprisingly such a contradictory and inconclusive statement was sufficient to find Mr. Mollah guilty and ‘deserving’ the death sentence!! Worse still is the recent revelation of the fact that the Momena Begum who testified at the ICT in 2012 is not the real Momena Begum, daughter of Hazrat Ali. It was ‘someone else’ – possibly an associate of the state prosecutors – pretending to be her. It has been further reported, though could not be independently confirmed, that the actual Moment Begum has been kidnapped and is being held at an unknown location by the state security forces. Although Mr. Mollah’s defense team was only allowed 6 defense witnesses; they were able to prove beyond reasonable doubt, that Mr. Mollah was not involved whatsoever with the horrendous allegations against him. In fact, he had trained to participate in the liberation war, and was awaiting his turn in Faridpur to join the battle. He resumed his studies at Dhaka University immediately after 1971, and had later become a teacher at the Udayan School and the Rifles school in the center of Dhaka. He was also a member of the Chatra Union (Matia group) and an ex-comrade of Matia Chowdhury and Nurul Islam Nahid during his student days. It seems his only crime is to have taken a principled stand in the politics of Bangladesh rather than being one of the many opportunists all around us. Was Molla’s ‘Warrant of Execution’ defective? The Appellate Division published its full judgment on Molla’s case on December 5, 2013. The ‘warrant of execution’ was signed on 8 December by the International Crimes Tribunal and sent to Dhaka central jail. It was a simple procedural matter, though it was defective. This is more straightforward and just appears to confirm that it is the court which has first imposed the sentence of death that should send the warrant of execution. There are many legal inadequacies in the International Crimes (Tribunal) Act 1973, but that is also not the reason. Many controversies and scandals that have taken place at the tribunal (including the abduction of a defence witness, the release of skype conversations/e-mails showing at least one of the tribunal judges in collusion with the prosecution and the government, and at least 6 tribunal investigators and prosecutors seeking last month Awami League parliamentary seats) – but again these controversies, and there are many more, are not in themselves the reason why journalist David Bergman object to Molla’s death penalty. The reason for thinking that it is outrageous to put Molla to death is because of the flimsiness of the evidence on the charge which he has been sentenced to death and the fact that the tribunal simply did not allow him to put forward his defence, restricting his witnesses to five. What we have is as follows: a witness, giving evidence in court 42 years after the event stating that Molla was present, who had previously given two statements – one to a 1971 museum and another to the investigation officer – neither of which stated that Molla was present at the scene, and one of which stated that she was not even present at the time of the incident. And we have a court – both tribunal and appellate division – who have decided not to take into consideration any of these previous statements which do obviously raise issues about the credibility of the witness. Added to this, there is the fact that Momena, who was 13 years old in March 1971, had a breakdown after the murder of her family and, as far as the evidence shows, had never in the 42 years period between then and the time she gave her testimony in court, mentioned to anyone that Molla was present at the time of her family was killed. If all of this had been known by the investigation and prosecutors, there is surely no way that a case like this, would ever have resulted in a prosecution in most jurisdictions – yet alone going to trial and resulting in a conviction or execution. Molla’s execution results in more deaths? Did we care? One man, Molla is executed by the state, and the question is – how many further deaths will also be directly caused by the state’s decision to execute him (and, of course, no one will be brought to justice for any of those). Do the authorities cognizant of the likely violence that has been taking place after Molla is executed in these febrile and unstable times in Bangladesh, and have measures in place to ensure that people are not killed. Clearly those who are involved in violent recrimination are responsible for their actions – but the state also had a responsibility not to do something, like not executing Molla, if it could result in significant numbers of innocent people dying. Human Rights Watch called on Bangladesh not to carry out the execution of Abdul Quader Mollah and deplores the fact that he will be executed after an unfair trial and denial of a full and impartial appeal of his conviction. Mollah was accused of atrocities in the 1971 war of liberation and was originally sentenced to life in prison. The government pushed through changes in the law with retroactive effect that allowed the prosecution to appeal the acquittal. Mollah was sentenced to death on the basis of the testimony of a woman who was 12 years old in 1971 and had changed her story. Human Rights Watch said that many governments and the United Nations have called on Bangladesh not to impose the death penalty in this case and expressed concern about the conduct of the trial. Human Rights Watch takes no position on Mollah’s guilt or innocence, which can only be established after a fair trial. A hanging in such a controversial case in a volatile political atmosphere in the run-up to national elections will likely lead to large numbers of deaths, injuries and property damage. Many observers believe that the government wants an execution so close to the election in order to score political points. The government should not act irresponsibly at such a volatile moment. The government and protest leaders must take all possible steps to avoid violence. UN High Commissioner for Human Rights Navi Pillay on 10 December called for an eleventh-hour stay of execution for Abdul Quader Mollah, a Bangladeshi politician convicted of war crimes in a trial that did not meet stringent international standards for imposition of the death penalty. The Office of the High Commissioner for Human Rights has written to the Prime Minister of Bangladesh, HE Sheikh Hasina, in a last-minute appeal to halt the execution. In a statement last month, the High Commissioner urged the Government of Bangladesh not to proceed with the death penalty in cases before the International Crimes Tribunal, particularly given concerns about the fairness of the trials. The United Nations opposes the imposition of the death penalty under any circumstance, even for the most serious international crimes. Two United Nations human rights experts on December 9 have urged the Government of Bangladesh to halt the execution of Abdul Quader Mollah, who was sentenced to death on 17 September by the country’s Supreme Court. The ruling, issued by the country’s highest court, cannot be appealed. The UN Special Rapporteurs on the independence of judges and lawyers, Gabriela Knaul, and on summary executions, Christof Heyns, expressed great concern. Any death sentence undertaken in contravention of a Government’s international obligations is tantamount to an arbitrary execution, only full respect for stringent due process guarantees distinguishes capital punishment as possibly permitted under international law from a summary execution, which by definition violates human rights standards. The UN Special Rapporteurs cautioned that “under such circumstances, the execution of Mr. Mollah could trigger further violence and unrest that has been agitating the country in the recent months.” Judicial proceedings are underway in several other cases before the International Crimes Tribunal and the Appellate Division of the Supreme Court and there is a risk that the defendants could also be sentenced to death and executed after trials that did not uphold the most stringent fair trial and due process guarantees. The UN Special Rapporteurs called for all the defendants before the Tribunal, including the Appellate Division, to receive fair trials. US Secretary of State John Kerry has spoken to Sheikh Hasina apparently stressing how ‘execution could derail election process’. And called for halt execution. The European Union, the Australian government and Turkey has opposed the execution of convicted war criminal Abdul Quader Molla, who got a reprieve from the gallows hours before his scheduled hanging. In separate statements, the international community opposed the war criminal’s execution as the states or organizations are against capital punishment. “The European Union has followed the judicial proceedings in Bangladesh concerning the crimes committed during the war preceding the independence of Bangladesh in 1971. From the start of the trials, the European Union has repeatedly stressed its concern about the possible application of the death penalty under the International Crimes (tribunals) Act,” the EU statement said. The EU opposes the use of capital punishment in all cases and under all circumstances, and has consistently called for its universal abolition. Australia also called for suspending Molla’s execution. “Australia notes the concerns recently expressed by the United Nations special rapporteur on independence of judges and lawyers and by the special rapporteur on summary executions regarding the lack of opportunity for appeal or review of the sentence,” said a statement of the Australian High Commission in Dhaka. The Prime Minister of Turkey telephones Sheikh Hasina and requested her not to execute Abdul Quader Molla. Abdul Quader Mollah was not given a fair and transparent trial and the whole world knows. It was a crooked up process designed to kill Mollah and others using the justification of the judiciary and state power. The supporters of Mollah and those who are opposed to the Bangladesh ICT as it has been operating, due to immorality, involvement of party politics and judicial perversion, will always have the high moral grounds and justifiably feel that a big injustice has been done. These include people who fought for Bangladesh bravely in 1971. The AL, their supporters and Shahbagists will forever be haunted by the injustice and perverse use of the judiciary carried out to achieve political goals. They will never be able to justify what they have done, morally, rationally, legally and with evidence in support of their political use of the judiciary. They will be reminded of how unjustifiable were what they did and supported. They will be challenged, disturbed and hounded wherever they try to raise their heads in support of this judicial murder and the war crimes trial. The clear perversion of the judiciary in this case means that Mollah’s execution will be seen as an innocent man who has been judicially murdered. the supporters of the execution of Mollah will never be able to confidently claim and successfully proclaim that he was a war criminal. There will never be another chance to prove that Mollah was guilty of war crimes. Therefore, Mollah through this hanging has become an innocent martyr, judicially murdered for political reasons. The judiciary in Bangladesh does not have an exemplary record of being just and fair, especially in recent times. However, executing Mr. Mollah through such a flawed process would definitely be a new (all-time) abyss, and a disgrace to any process of law anywhere in the world. We must stand up and voice out against such a violation of the fundamental rights of a fellow Bangladeshi for the sake of Truth, Justice and our Bangladesh herself. The judicial murder of Abdul Quader Molla will certainly be a milestone for the Islamic movement in Bangladesh.